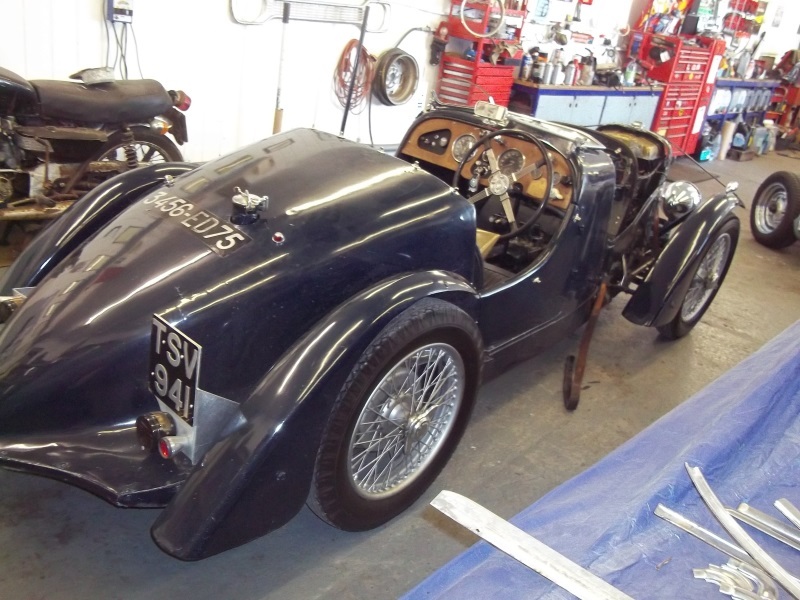 In May 2012 this special classic with a very interesting history came into the workshop to be recommissioned. 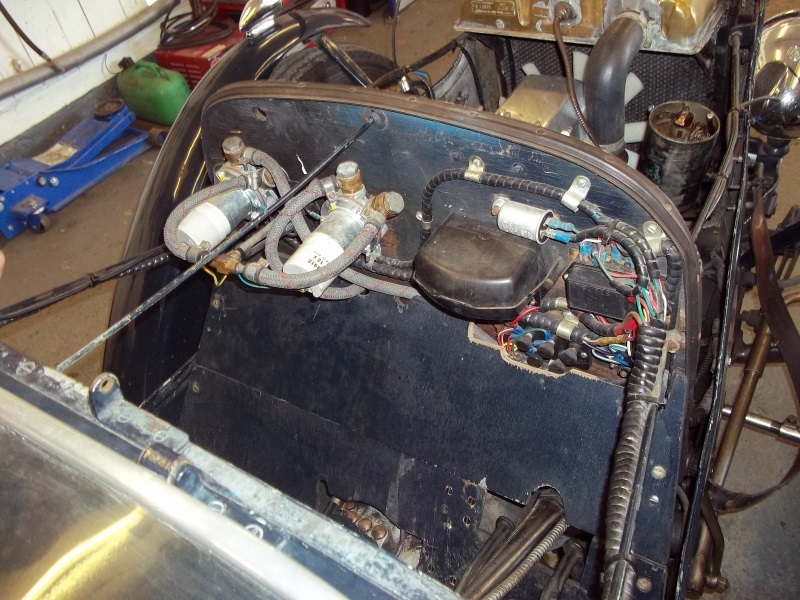 Summary of car recommission included tuning the engine, recondition the Magnetto, make and fit new Advance/retard cable. Checked valve clearances, seal oil leaks and make choke linkage and reroute cable for correct operation. 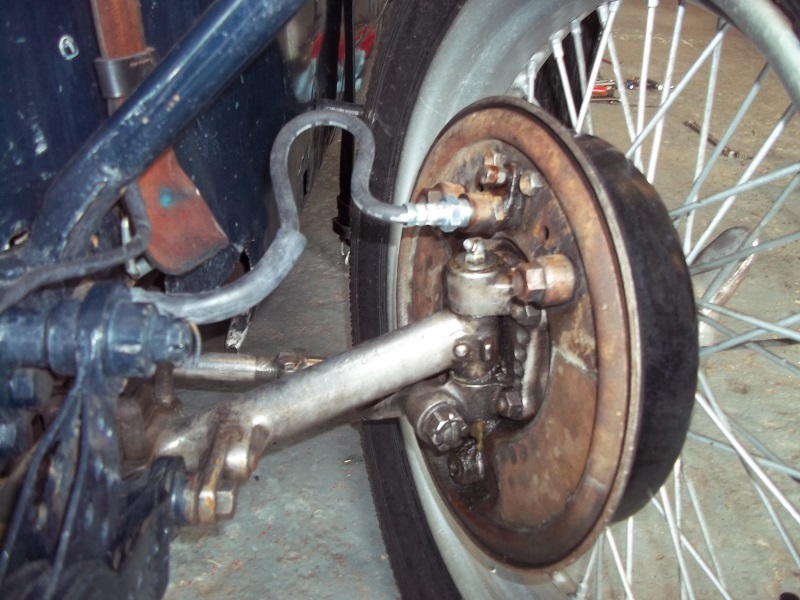 Striped down brake/suspension for inspection. Overhaul wheel cylinders, clean, inspect all hub bearings regreased and fitted new hub and half shaft seals, then reassembled. 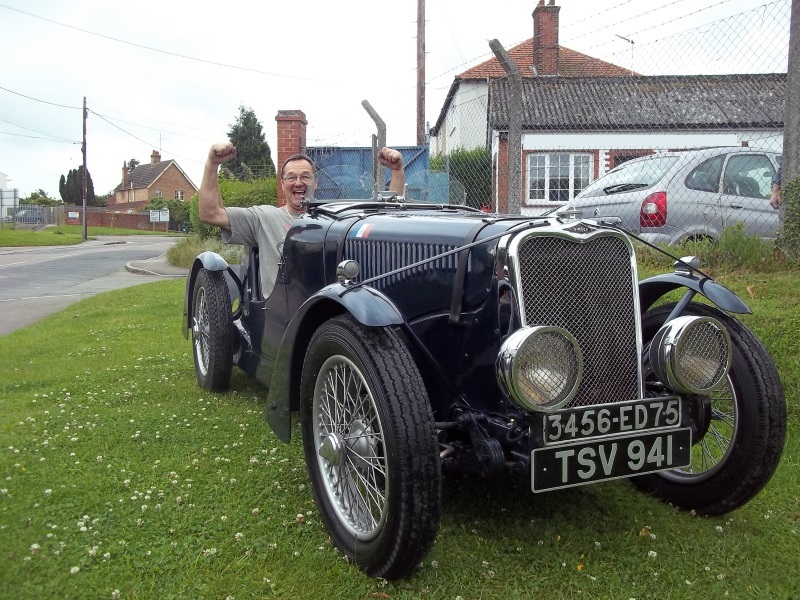 It had new brake hoses, cleaned fluid reservoir refit and bleed brakes. 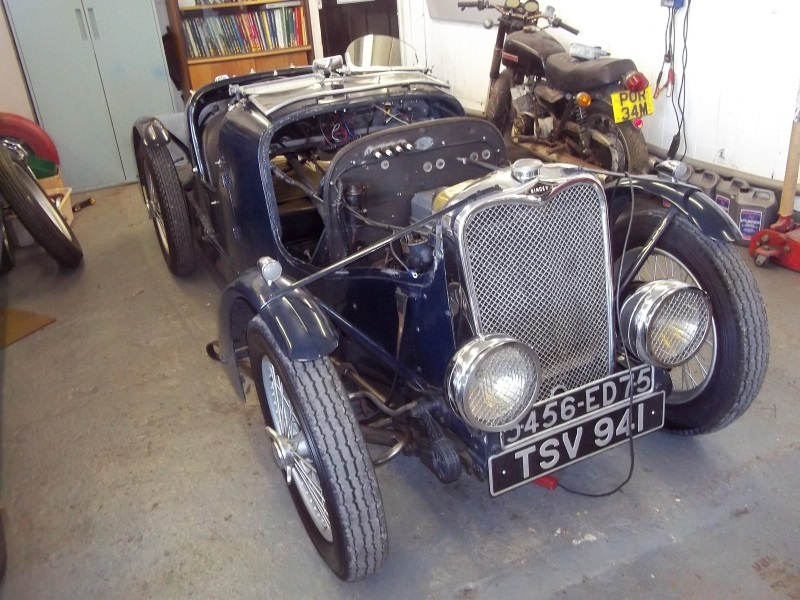 Found 18 joins in fuel lines, made new fuel pipes front to rear repipe pumps and carbs. 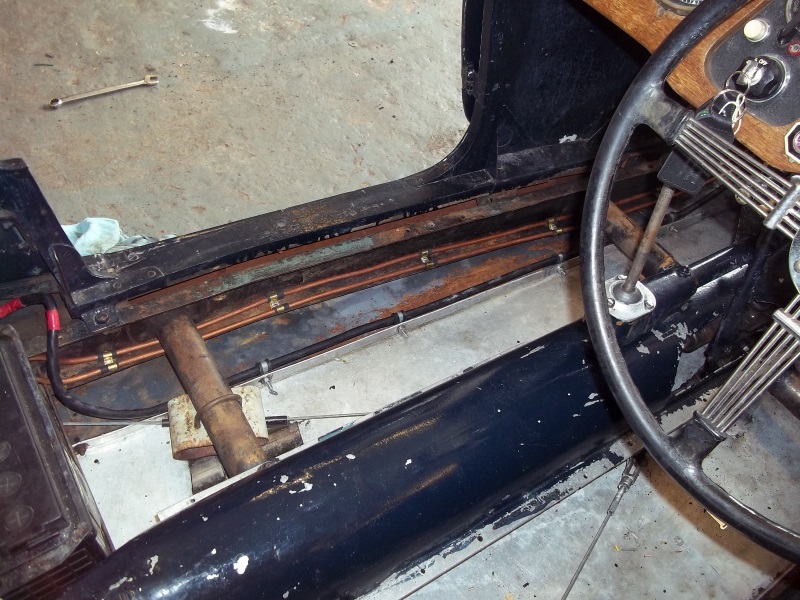 Rerouted, reterminate and retape wiring loom. Clean and refit floors and seats. 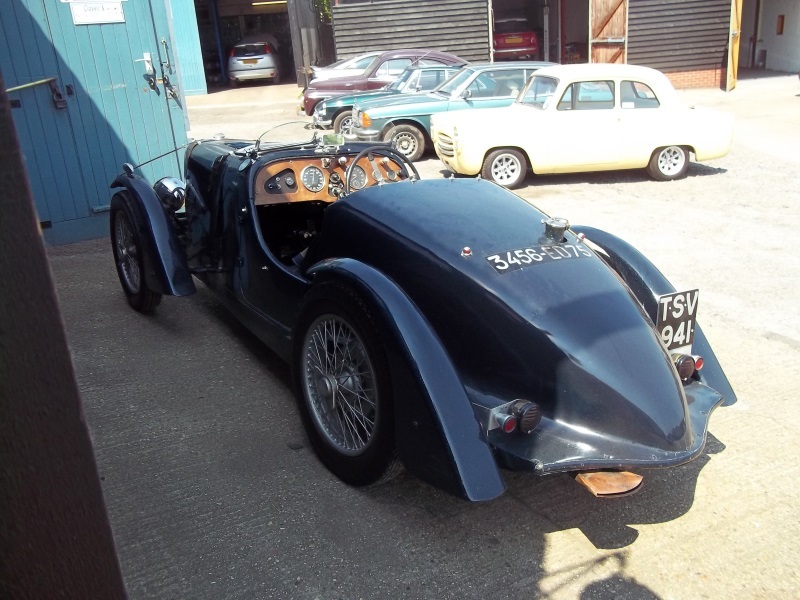 Carried out MOT roadtest made required adjustment to engine and brakes. Strip doors and overhaul lock mechanisms and refit. 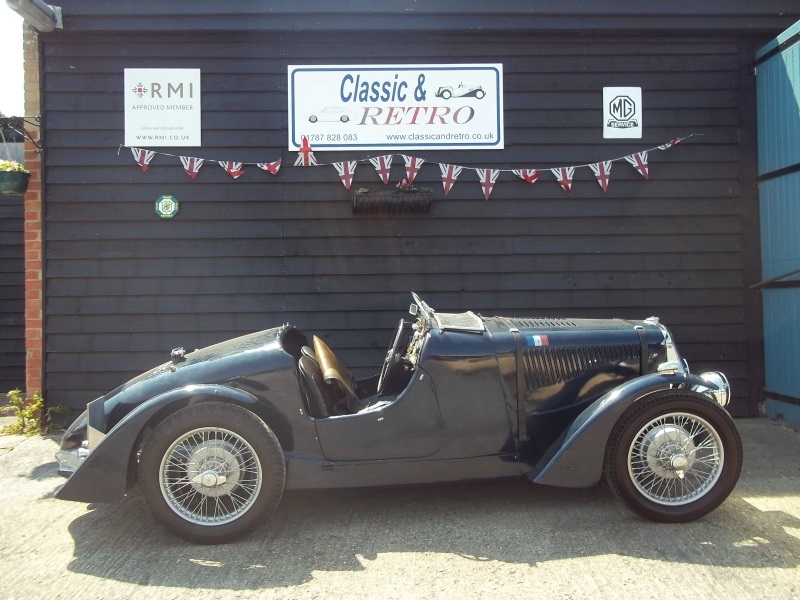 Appreciating that some of their customers clamouring for the performance of the company's Le Mans model also required more than two seats, Singer introduced a limited run of four-seater examples during the 1935 model year. Effectively a hybrid of the Le Mans and the 9 Sports, they featured upswept cowl scuttles and a streamlined (`Long') tail. It was from the wreck of one of these that Frenchman Jacques Savoye built his renowned `Savoye Special', that is now offered for sale. 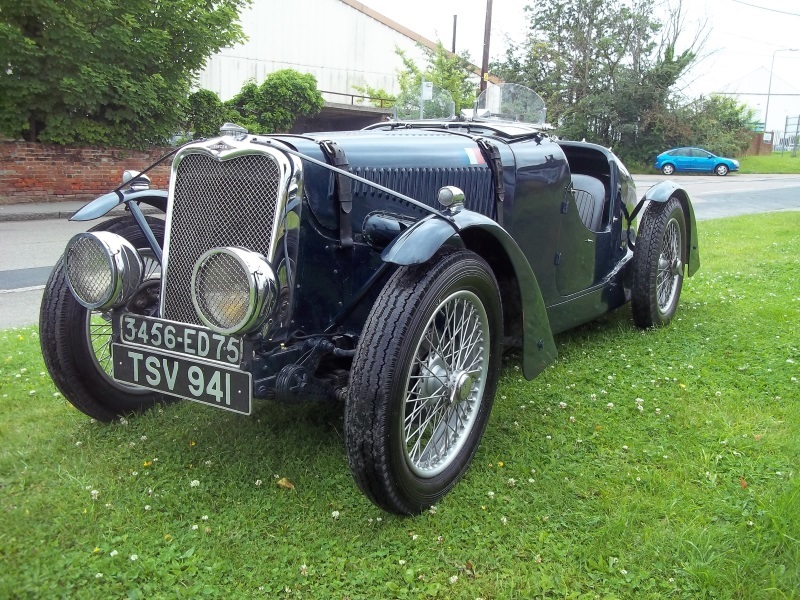 Savoye started importing British cars to France in 1934 and was appointed agent for both the Morgan and Singer marques. 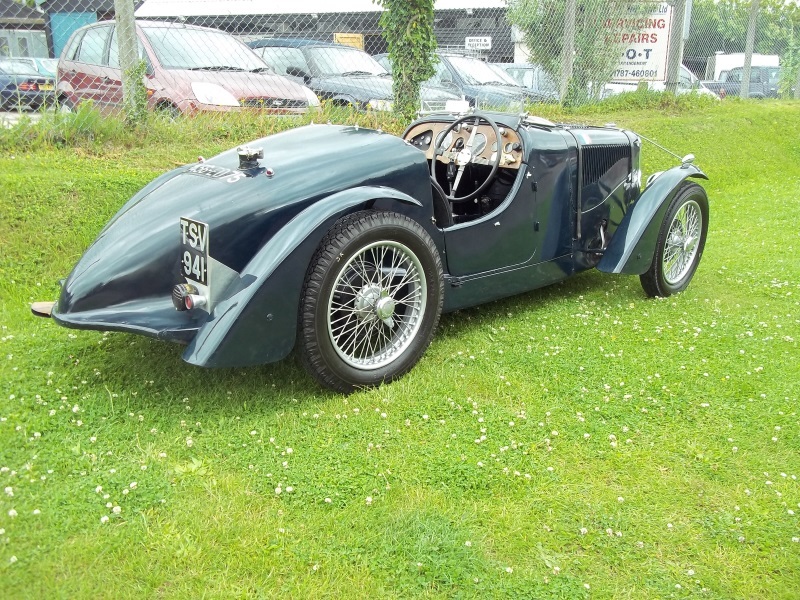 Singer Le Mans Chassis 5246 was purchased by Savoye after being written off in an accident with a lorry. He straightened the chassis, salvaged all the usable parts and set about modifying the car for competition. 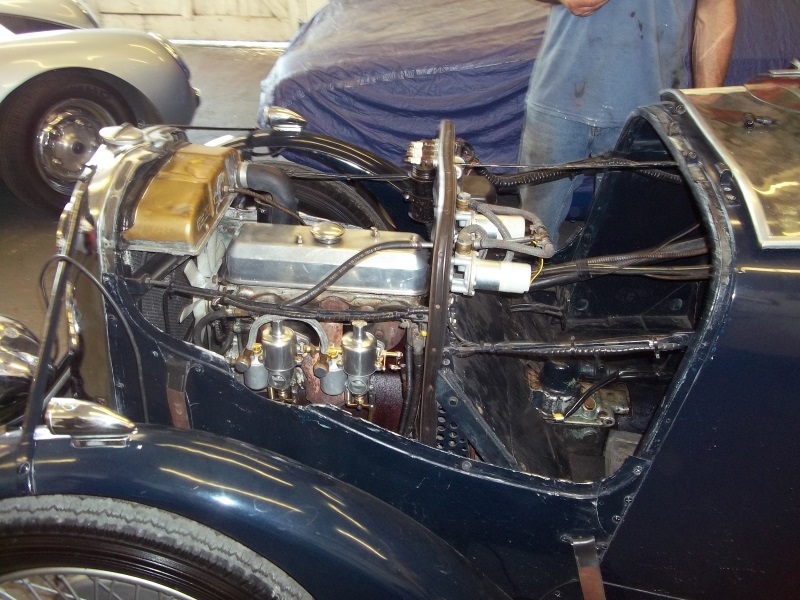 In order to extract more power from the little 972cc OHC engine, he reworked the cylinder head, lightened the connecting rods and raised the compression ratio to in excess of 10:1. Thinking ahead, he acquired a range of rear axle ratios to suit different circuits. 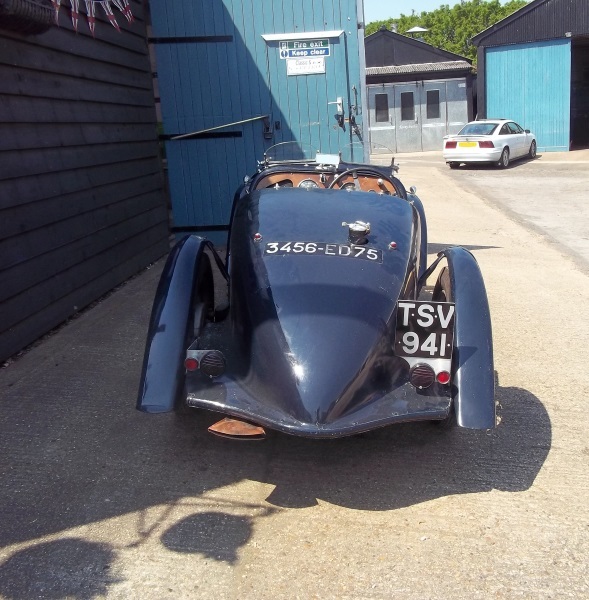 He also fashioned his own streamlined body in the fastback style of the day - it was constructed from aluminium over a lightweight wooden frame. 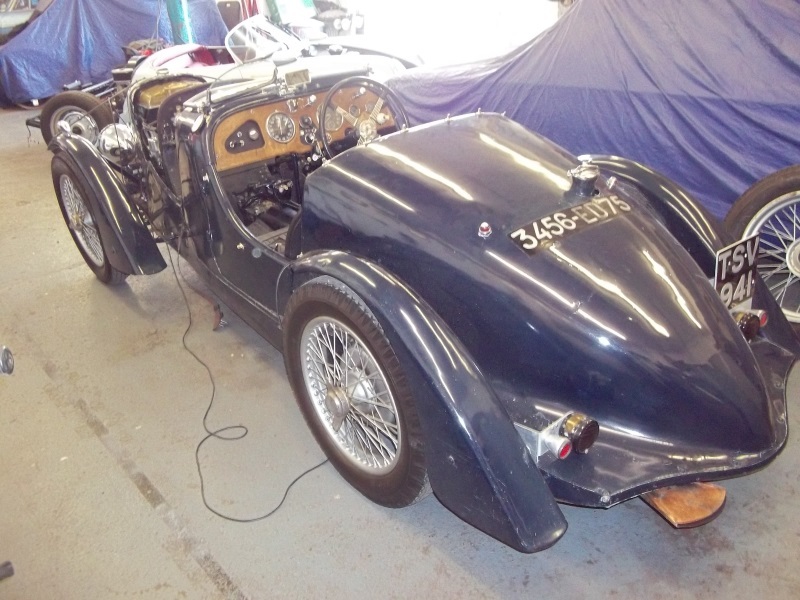 By devoting all his spare time to the project, his `Savoye Special' was finally ready to race by the end of May 1937 and was duly entered for the Cote d'Ars event. 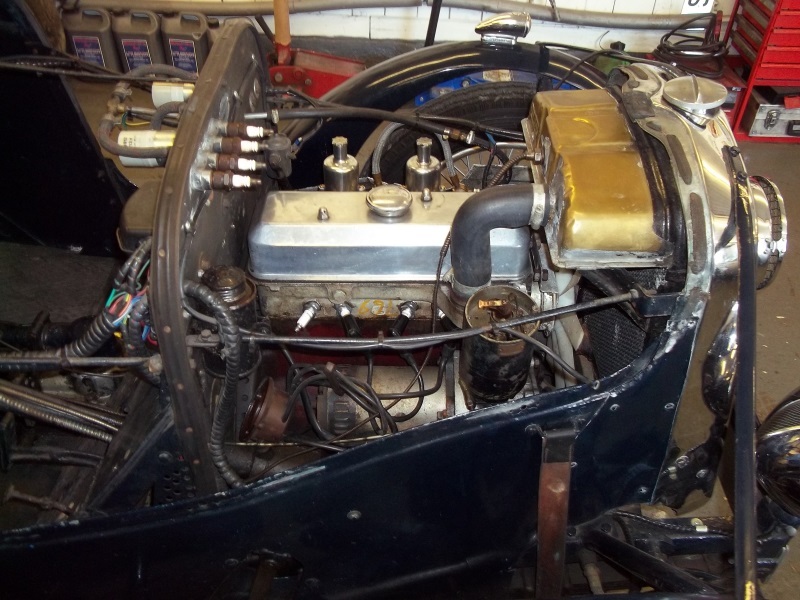 Still in bare metal, it achieved the fastest time in the up to 2,000cc class. The next outing was the 1937 Le Mans 24 Hours, for which he teamed up with one of his Singer-owning clients, Pierre Pritchard. 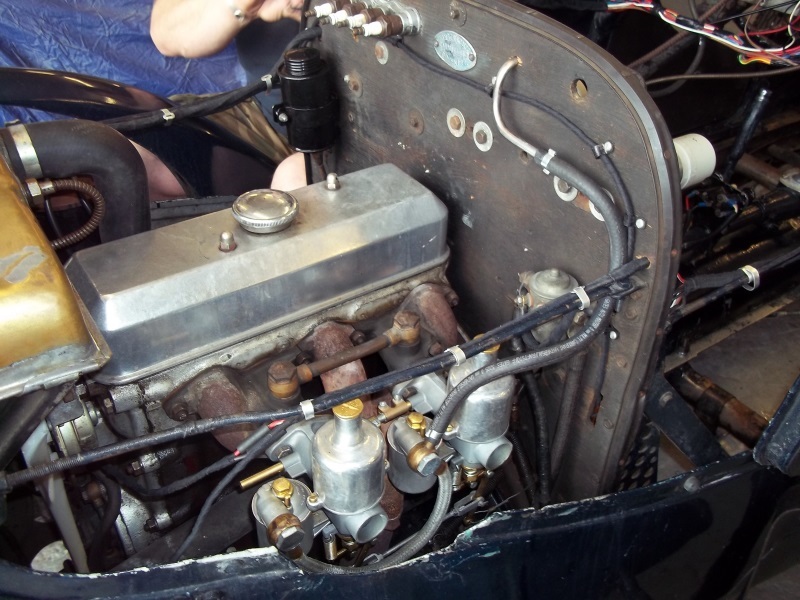 Having managed to avoid a serious accident soon after the start, the team was doing well until a minor water leak went unheeded by the mechanic - a likely class win and other accolades went by the board. Not so in the 1938 Le Mans race, for which Savoye prepared with meticulous detail. This time he elected to drive with his younger brother, Pierre, and things ran smoothly until about the 10th lap, when an effort to cure a slipping clutch caused them to run the gearbox without oil long enough to cause temporary seizure. With that problem resolved they made good progress before suffering a broken engine mount. A `Heath Robinson' repair survived the rest of the 24 hours, allowing the duo to achieve an historic 1st in class and 8th overall. Savoye understandably entered the little Singer again in the 1939 event, but it failed to last the course on this occasion. It had an eventful war too, being removed by the invading Germans in both 1942 and 1944. The first time it was found abandoned by neighbours; Savoye's precautionary removal of the batteries having foiled the thieving soldiers. The second time it was returned on the orders of an Inspector General with due apologies on behalf of the German army. Following the cessation of hostilities, Savoye pressed the faithful Singer back into action and competed in the Liberation Cup (the world's first post-war racing event), and a variety of races at Nantes, Angoulème and Montlhéry over the next couple of years; also the Brussels Grand Prix where he finished third overall against stern opposition from the Simca Gordinis. So to the Le Mans race of 1949 - sadly the Singer's fourth run at La Sarthe ended at the halfway mark, as a result of a broken clutch finger. At this point Savoye decided to sell the car, and that could have been the end of the story. However, he rediscovered it in 1951 finished in Pale Blue rather than its original Dark Blue plus a pair of little Tricolors, and in a sorry state. 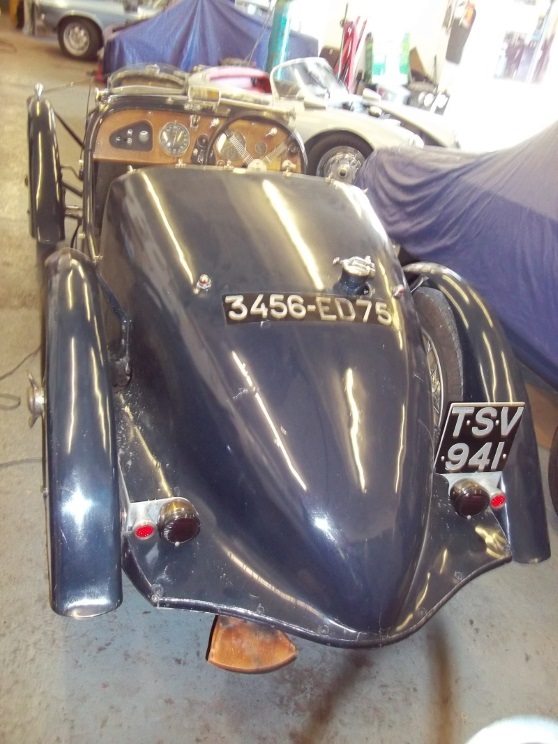 He therefore bought it back and restored it to its 1938 winning specification. It was still in his possession when tracked down by a pair of British Singer enthusiasts in 1982. So began a protracted purchase that finally came good in July 1985. 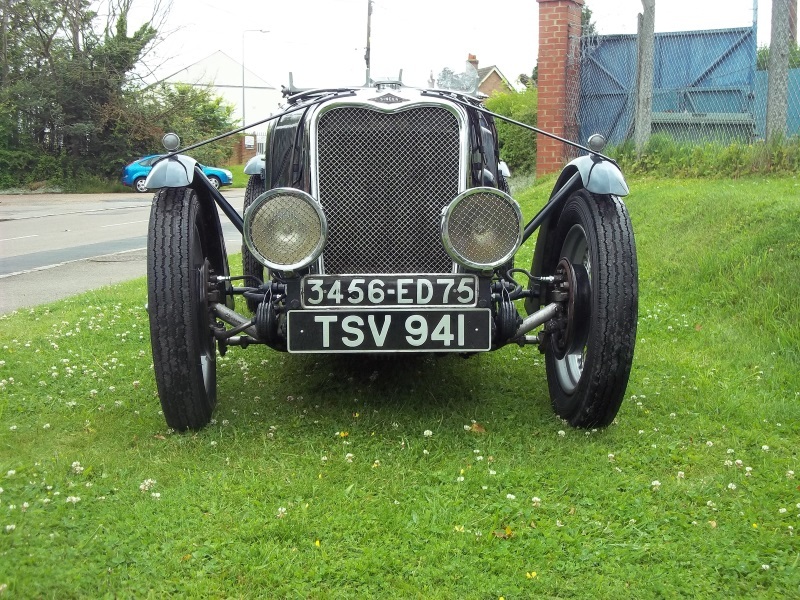 Since acquiring the car - now UK registered as `TSV 941' - the duo have involved it in numerous Singer Owners' Club events. 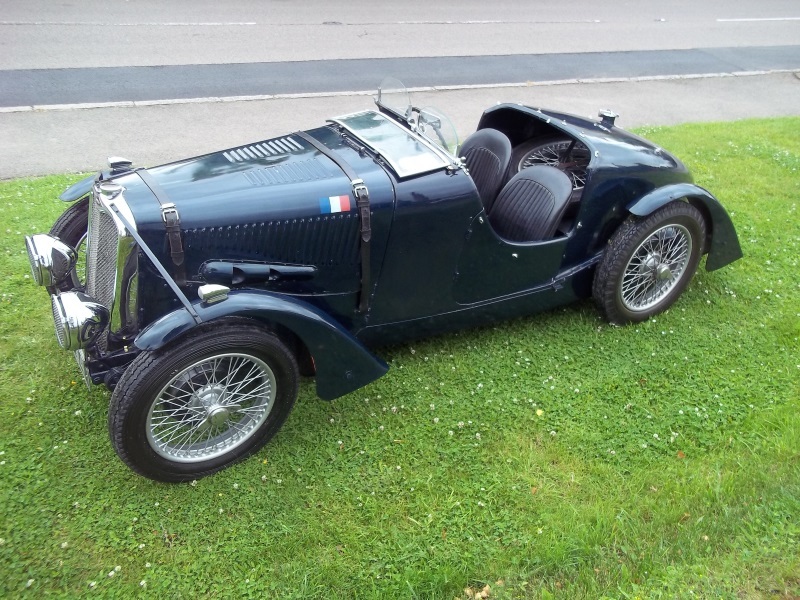 They also proudly displayed it at Le Mans in 2008, following its selection by the Le Mans Heritage Club as one of just 25 cars chosen to represent the hundreds that had competed at La Sarthe between 1923 and 2007 - it even received a special award from the jury of experts.